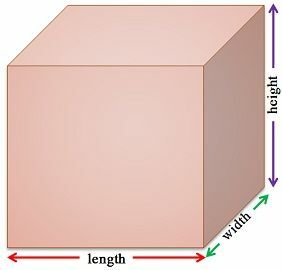 Think of a solid object like a cube, cuboid, pyramid and so forth that have three-dimensions, which are length, width and height. Length refers to the extent of an object, i.e. it identifies how long an entity is. On the other hand, height implies the altitude of the object; that tells how tall an entity is? There are many students of mathematics, who have doubts regarding length and height of an object, as for them, these two dimensions are one and the same thing. But, this is not so, they only share common characteristics, there are subtle differences between length and height. Go through with the article to understand the concept of the two dimensions. Meaning Length is described as the measurement of an object from one point to another. Height alludes to the measurement of an individual or an object from top to bottom. Determines How long an object is? How high up an object is? Dimension Most-extended dimension of the object. Dimension that would be up in ordinary orientation. The dimension of an object, which is the longest one, is called its length. It is the horizontal extent, that is measured along the X-plane on a graph, and gauges the distance between two ends. The measurement units of length are the metre, centimetre, kilometre, inches, foot, miles, etc. Length refers to the size of an entity, irrespective of the dimensions. It ascertains the degree to which something is long or far from one point to another. In mathematics, height is defined as the measure of distance from bottom to top, i.e. from a standard level, to a certain point. Height is labelled as altitude, when we talk about the extent to which a three-dimensional object like mountains, trees or building is high or tall, from the sea level. It measures the vertical distance from the lowest to the highest point. The height of a human being indicates how tall he/she is. Length is basically the end to end measurement of the object. On the contrary, height is the measurement of distance of an object from base to top. Length ascertains the degree to which something is long, whereas height is an indicator of the degree to which someone or something is tall. While length is measured along X-axis, in essence, it is the horizontal side of something, height is in alignment to the Y-axis, which represents the vertical side of something. Length is nothing but the longest facet of the object. Conversely, height is that side of the object which would be up, in the normal orientation. Both length and height are linear type measurement. They are measured in the units of distance. Expressed in terms of feet, inch, meters, yards, etc. Therefore, with the above discussion, it is clear that these two are different concepts of geometry, which are often understood together, but that doesn’t make them one. The position of the object plays a crucial role in determining, which dimension is the height and which one is the length, because, the measurements change with the change in position, in essence, the height of the object becomes its length and the length turns out as its height. You made it so much easier to understand the difference between length and height. Thanks!